IOCL invites application for the post of engineer assistant in madurai. Qualifications: 3 yrs Diploma in Electronics & Communication or Electronics & Telecommunication or Electronics & Radio Communication or Instrumentation & Control or Instrumentation & Process Control Engineering with minimum 55% marks. Preferably two-years post qualification experience in relevant area. Working Knowledge of computer is desirable. Application Fee: The application should be accompanied with a crossed Demand Draft `200/- (Rupees Two hundred only) as application fee (non-refundable) in Favor Of Indian Oil Corporation Ltd. – Pipelines Division payable at State Bank of India, Chennai. Any other mode of payment is not acceptable and application without the application fee will be rejected without any reference to the applicant. Qualifications: (i) Master Degree in Computer Application/Computer Science or M.Tech. (with specialization in Computer Application)or BE/B.Tech.in Computer Technology from a recognized University or equivalent. B(i) Degree in Computer Application/Computer Science or Degree in Electronics/Electronics and Communication Engineering from a recognized University or equivalent. (ii) 2 years experience in Electronic Data Processing work including experience of actual programming. C(i) Master Degree of a recognized University or equivalent or Degree in Engineering of a recognized University or equivalent. 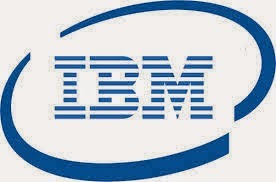 (ii) 3 years experience in Electronic Data Processing work including experience of actual programming. D(i) ‘A’Level Diploma under DOEACC Programme or post Graduate Diploma in Computer Application offered under University Polytechnic Diploma in Computer Application awarded by State Council of Technical Education or equivalent. (ii)3years experience of electronic Data processing work including experience of actual programming. Note -The Qualifications are relaxable at Commission’s discretion of the Union Public Service Commission for reasons to be recorded in writing, in the case of candidates otherwise well qualified. Digital electronics is one of the basic subject in electronics,flipflops is one of the most important topic in digital circuits in which students feel difficult in engineering.here we are providing a video tutorials from nptel which was taught by a IIT professors. Southern naval command invites applications from diploma electronics engineer for the post of chargeman-II. Qualifications:Graduate in Physics/ Math/ Chemistry or Diploma in Electrical/ Mechanical/ Electronics/ Production Engg. Cochin Shipyard Limited, a premier Shipyard in the country and a Mini Ratna Company of Government of India, invites Online Applications from young professional for the post of Executive trainee. Qualifications:Degree in Engineering (Mechanical/Electrical/Electronics/ Instrumentation / Civil/ Naval Architecture) as the case may be from a recognized University securing not less than 65% marks in aggregate for Open and OBC candidates and 55% in the case of SC/ST and PWD candidates. 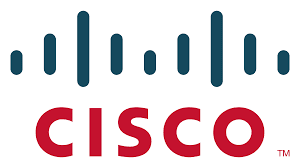 Cisco (NASDAQ: CSCO) enables people to make powerful connections-whether in business, education, philanthropy, or creativity. Cisco hardware, software, and service offerings are used to create the Internet solutions that make networks possible-providing easy access to information anywhere, at any time.Cisco was founded in 1984 by a small group of computer scientists from Stanford University. Since the company’s inception, Cisco engineers have been leaders in the development of Internet Protocol (IP)-based networking technologies. Job profile:Participate in feature design discussions and contribute innovative ideas and solutions. Collaborate with cross-functional teams such as marketing, technical support and documentation group on related tasks. • Solid understanding of distributed systems and networking principles, plus working knowledge of related disciplines, e.g., computer security, algorithms, database, and operating systems. • Contribute to small subsystem architecture design and write functional specs. • Write and/or provide input portions of design specs. • Independently develop software code per design specification. • Write major portions of unit, integration, and regression test plan. • Debug problems of moderate scope at the subsystem level. • Perform complex subsystem level unit, integration, and dev tests.